Fiber cement is an innovative product that combines wood fiber, Portland cement, sand and water to create a sustainable material that looks like wood but lasts far longer with minimal maintenance. 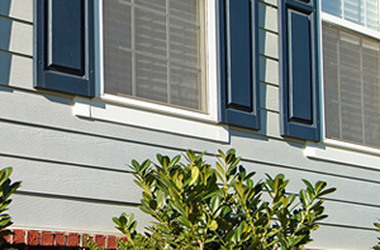 Integrity Roofing & Siding is a certified installer of James Hardie® fiber cement siding, which means you can get the world’s best-selling fiber cement products from the most professional San Antonio siding contractor. Using the HardieZone™ System, James Hardie has developed siding with specific performance attributes relative to the climate where the product is being used. Thanks to HardieZone™, Integrity Roofing & Siding can now install the optimum siding for San Antonio weather conditions on your home. Contact Integrity Roofing & Siding for a free James Hardie siding estimate today by calling (210) 340-7663 or completing our online quote request form.